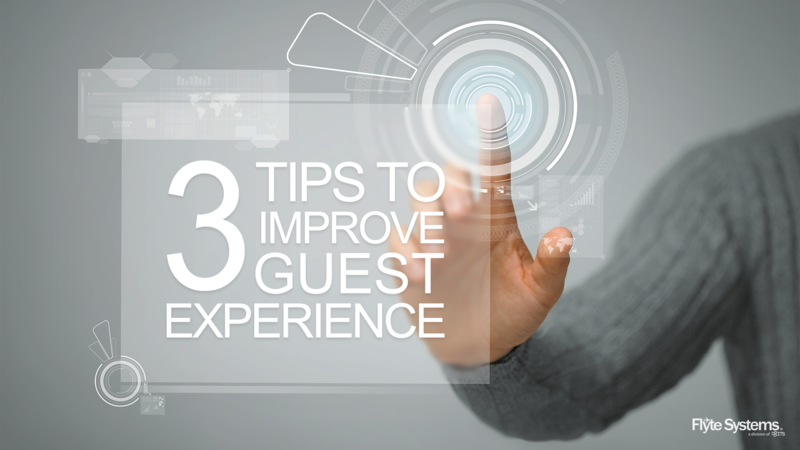 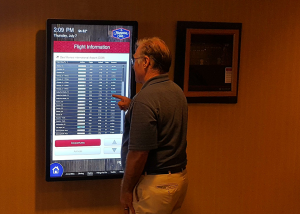 “Our guests love the convenience and it saves our front desk staff time they would be answering guests’ questions,” said Terry Landers, general manager of the Hampton Inn Des Moines Airport in Iowa. 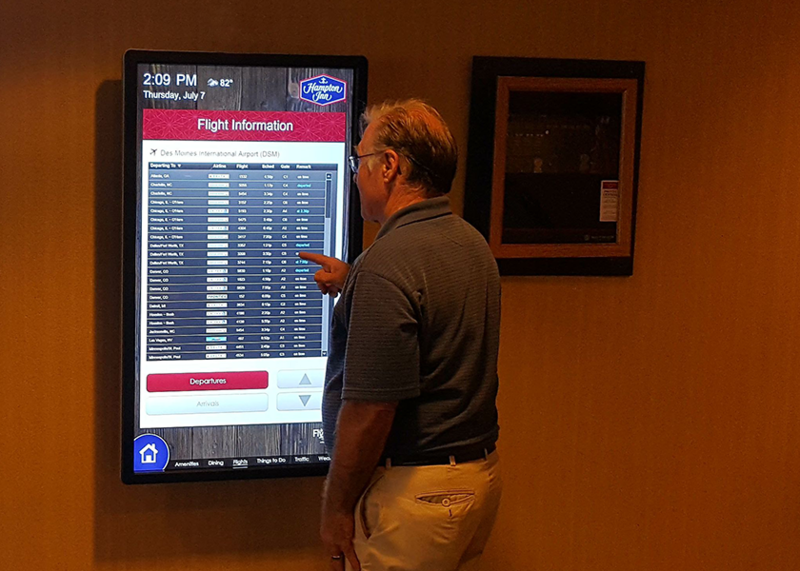 The property recently installed a touch screen InfoBoard digital signage display from Flyte Systems®. 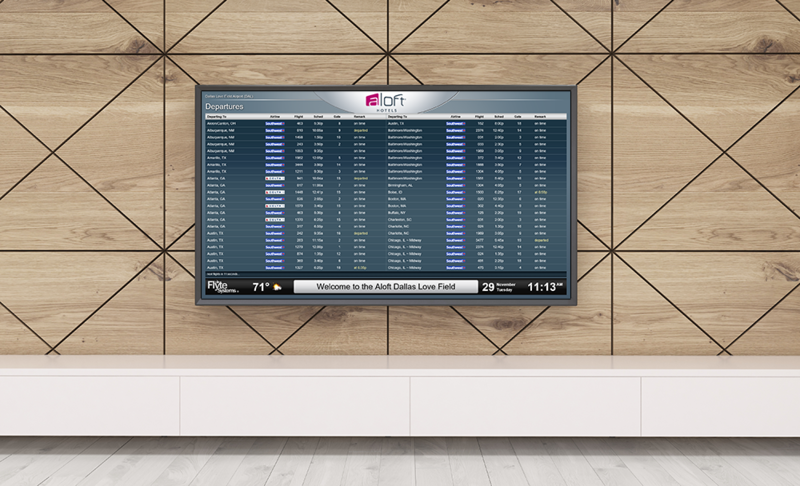 InfoBoard is an economical solution for properties that want to offer a valuable amenity to guests and visitors unfamiliar with their area. 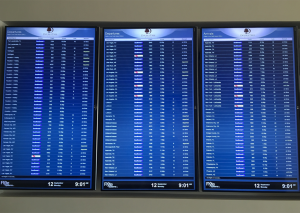 Hampton Inn Des Moines Airport recently completed a total renovation and upgraded all of its 120 rooms. 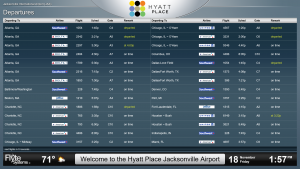 Convenient to downtown and the airport, its 24-hour airport shuttle, complimentary breakfast, Wi-Fi and fitness center are ideal for business travelers and leisure guests. 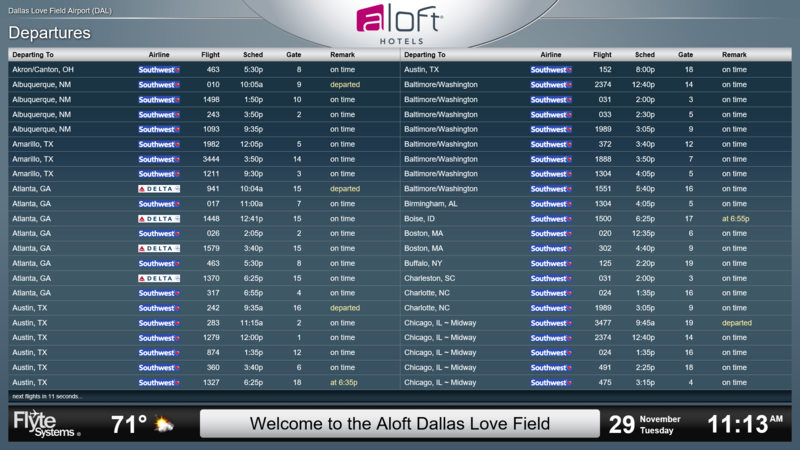 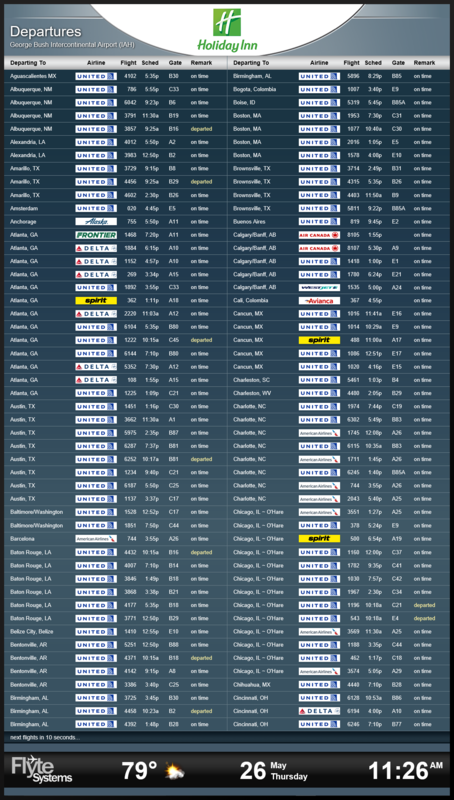 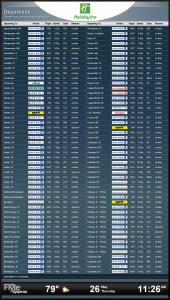 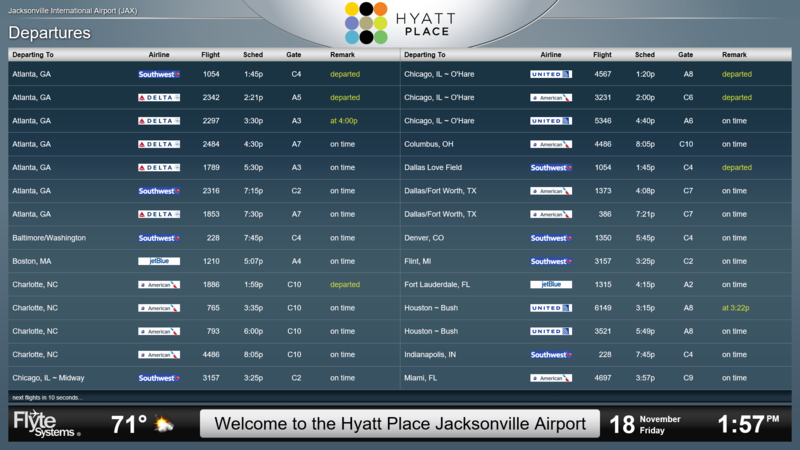 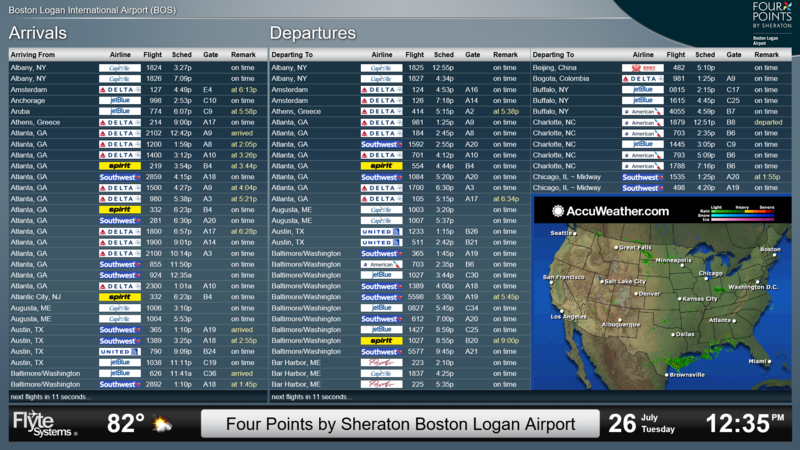 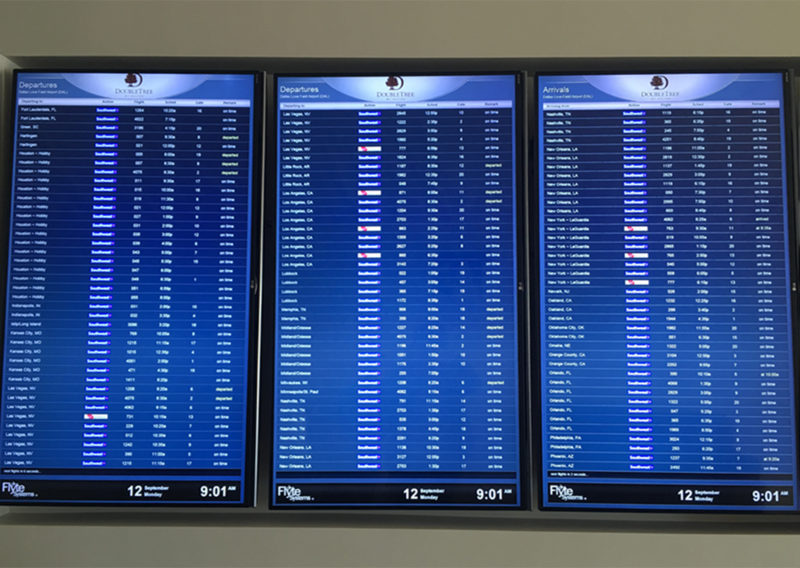 In addition to the new upgrades, guests can now find a wealth of travel information on its new InfoBoard. 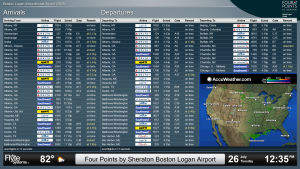 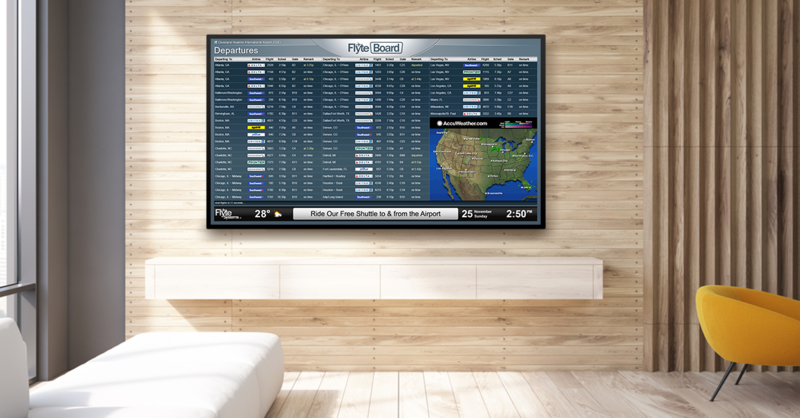 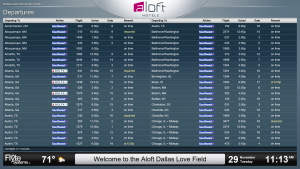 The large digital signage display lets guests search property amenities and services, dining options and things to do in Des Moines, and shows airline flights and gates, weather and local traffic.